Today's Times rails against the curriculum that ministers have approved for children under five. The normally sane leader writers on the paper seem to have been hoodwinked by some child psychologists into believing that it is 'a threat' for children to learn some of the basics of the alphabet, phonics and how to count while they are enjoying the taxpayer-funded early years education that this government has made a free entitlement for all. It is - let us remember - not compulsory to attend school before the age of five; and any nursery wishing to rely solely on fees is free to do so and set its own curriculum; these proposals are also rather more flexible than the Times report suggests. Moreover, they are informed by a very substantial research project, which has at least as much weight as the academics quoted in the Times, and which has already shown that the benefits of a good early education are long-lasting. Given that the differences in achievement in later years which it and other papers bemoaned are all too often evident by the age of five - by which time it can be too late to rectify them - what would really threaten toddlers would be for the government to agree with middle class parents and those who oppose education for the under-7s, most of whom happily introduce their three and four year-olds to the alphabet and numbers at home (apparently without 'untold damage') through costly educational games, and deny poorer children the same developmental and educational opportunities. There may well be a case for cutting the 72 goals; there may also be a case for enabling a more proportionate inspection system. What there is not a case for is stripping the educational element from early years education, and making the taxpayer-funded experience entirely a matter of childcare or play. Nursery education is about ensuring that all children are ready to learn; it must continue to be. Today's PIRLS international study (pdf) of reading literacy standards - the ability to understand and use those written language forms required by society - raises some interesting issues. On the one hand, English pupils do better than the average for their international counterparts, outperforming countries like New Zealand, Scotland, Spain and France. On the other, English readers fell back to 19th in the world in 2006 (though a raft of Canadian provinces appear individually this time, distorting the rankings), compared with 3rd in 2001. There is more to this than whether youngsters enjoy reading, or indeed whether the brighter or weaker youngsters are dragging the results down. The 2001 survey came after a period of rapid improvement in primary schools, as a result of national tests and the literacy strategy. But the improvements have been slower since, while other countries have clearly improved more rapidly, not least places like Germany which were startled by their low performance in international studies. Much of the increase in the proportion of children achieving the expected standard – level 4 – in English from 49% in 1995 to 80% this year took place by 2000, when the figure was 75%. (The proportion doing so in reading is now 84%.) The same was true of the top pupils - the proportion reaching level 5 rose from 12 to 29% from 1996 to 2000, and is now 33%. This test improvement was also reflected in Ofsted inspections: the literacy and numeracy strategies nationally had a dramatic effect on the quality of primary school teaching between 1996 and 2000 – only 43% of lessons for 7-11 year-olds were deemed good or better in 1996. By 2000, this had risen to 72%. That figure fluctuated a little until 2005, when it stood at 74%. Under a tougher inspection system, it has again started to rise. There is no doubt that we need to regain the momentum of the period before 2000. The government is now rightly promoting synthetic phonics – using letter sounds to build up words - reflecting the growing evidence that it is the most effective way to teach children to read. Jim Rose's review in 2005 set this in train, and phonics has been the expected method since September 2007, as a result. This will need the sort of intensive rollout that accompanied the literacy strategy, with Ofsted inspecting how effective schools are in teaching reading, and whether they are using phonics. And it must be pushed hard before falling back on Every Child A Reader, which should be used as a recovery programme for the few who don't learn through phonics, not to provide literacy help for the many. I have long argued that greater state funding for political parties is the only way forward, and the events of the last 48 hours have strengthened my view. It is true that at least we now know how the parties are funded. The Hong Kong fundraisers are at least a thing of the past (and long forgotten by holier-than-thou veterans of those days). But all the parties have come unstuck as a result of their reliance on large donors. Of course, there's a good case for capping the amount parties can receive from a single donor - and doing so closer to £5000 than £50000; just as there's a case for capping constituency spending all year round. But this inevitably descends into party political knockabout, not least when trades unions or the Ashcroft largesse are being discussed. Which is why greater state funding must be the answer. The government should have bitten the bullet on all this years ago; Gordon Brown should certainly do so know. And for the benefit of those who think the taxpayer shouldn't fund political parties, don't forget they already do, and on a much greater scale now than before 1997. In 2007/8, according to the Commons Research Library(pdf, see Table 1), the Conservatives are receiving £4.5 million and the Lib Dems £1.7m in so-called 'Short money'. It is now worth three times as much per seat as it was in 1997. Of course, the money is to 'assist in the carrying out of parliamentary business' - but it certainly buys plenty of researchers who assist in the development of Tory and Lib Dem policies. There are plenty of sceptics about targeted action and about the ability of government to improve secondary school standards. But the latest ethnic minority achievement data are further proof of the impact of both, when implemented effectively. Results for Black Caribbean and Black African pupils have continued to improve far faster than the result of the school population. I have a piece in today's Guardian, arguing that further education colleges now have a justifiably stronger self-confidence than for some time, but that they face some big challenges in the future, the biggest of which is to set their own agenda. You can read the piece here. Labels: colleges, education, further education, post-16 education. With a dismal Comres poll in today's Independent, Gordon Brown can only hope that trouble comes in threes. Peter Watt's speedy resignation may reduce the usual feeding frenzy that accompanies these funding stories - only made possible, of course, by the government's own legislation - and the Virgin takeover of Northern Rock offers a breathing space. A mixture of clear direction and a delivery in the economy and public services is now vital to recovery. None of the three problems of the last week is fatal like Black Wednesday, however wishfully the Tories think. But we can't afford much more like them. Gordon needs to come out stronger from today's press conference and tomorrow's PMQs. What is it about journalists in the Westminster village? Having been close to the political scene for some twenty years, I have lost count of the amount of hyperbole that passes for serious commentary at the end of a difficult week for the government. The loss of the child benefit computer disc clearly ranks high in the civil service stupidity stakes; and nearly as high on the ministerial embarrassment stakes. But if the disc has not fallen into the hands of fraudsters, it is utterly absurd to compare the last week either to the petrol crisis of 2000, or particularly to Black Wednesday in terms of its long-term political impact. Jack Straw is right about that. Equally, the crisis at Northern Rock reflects (a) a rather risky business model and (b) a series of unpalatable choices for the Chancellor, but is hardly a sign of his incompetence. That said, there is no question that the government has got itself into a hole. The polls are not good (though they are not as good for the Tories as they should be either and voters blame civil servants not ministers for the loss of the disc). And the silly decision to keep public options open on an autumn election has been compounded by an appearance of incompetence since. That's why the government needs to do two things. First, it needs to be bolder in its approach to reform. The idea that you can get a clear message across while trying to be all things to all men hasn't worked. We have, for example, just had a Tory schools policy that is largely a carbon copy - with one or two exceptions - of government policy that is already in place. Yet the Tories are being allowed to appear to be brilliant innovators. It is time to shout not shirk from what the government is doing successfully and to worry more about winning over parents that silencing the teaching unions. The same applies across the government's policy agenda. Second, I hope reports in today's Observer are right and the PM is widening his circle of advice. He has good people in no 10, but he would benefit from a more open approach to policy development. And third, the government needs to find a narrative that shows how it is successfully delivering on a lot of fronts. The Prime Minister's delivery unit needs the sort of empowerment it had when it was first set up to ensure that policy is delivered, not just announced. That may produce guffaws from the government's opponents this weekend. But there is plenty of evidence around of successful delivery on once difficult areas of policy. Delivery matters as much as policy development. The exit polls in Australia place Kevin Rudd on course for a significant victory, and suggest that Prime Minister John Howard may even lose his own seat to a former breakfast TV presenter, Maxine McKew. Rudd's campaign was in many ways a carbon copy of the Blair campaign here in 1997, even to the extent of outflanking Howard from the right on economic policy. On education, the Australian Labor Party emphasises not only computers for all and better early childhood education, it also proposes a national curriculum and has placed a lot of emphasis on literacy and numeracy. I have just finished reading Roy Foster's short, but magisterial review of Ireland over the last three decades. Luck & the Irish tells the story of how the Celtic Tiger was born and how peace came to Northern Ireland, but on the way takes us through the GUBU (Grotesque, Unbelievable, Bizarre and Unprecedented) leadership of the late Charles Haughey and the attempts of his nemesis, the well-meaning Garret Fitzgerald to start what led finally to the Good Friday agreement. It is a remakable story of economic transformation - as much due to American investment as European grants - the loss of religiosity, the liberalisation of legislation and cultural renaissance which benefits from Foster's ability to marry scholarship with simple storytelling. Foster's Modern Ireland is undoubtedly the best available history of post-1600 Ireland. His new book updates the story, and reminds us just how great the changes have been. Conor Ryan, a former Labour education special adviser, points out in his excellent blog, which I recommend to Labour Members, that CTCs beat many fee-paying independent schools in their GCSE results. May I particularly recommend some recent posts - similar ones may in future be known as Gibbs. New readers might like to start here, here and here. David Aaronovitch characteristically gets to the heart of the matter in his dissection of David Cameron's attempt to replace liberal interventionism with conservative interventionism, otherwise known as isolationism. Of course, this is nothing new. John Major and his cronies happily sat idly by while they allowed what even Malcolm Rifkind admitted were the worst crimes in Europe since the Holocaust to proceed unabated in Bosnia, while enforcing the deadly arms embargo that denied Bosnians the chance to defend themselves. As Margaret Thatcher remarked, this was a ‘killing field the like of which I thought we would never see in Europe again - it is in Europe's sphere of influence. It should be in Europe's sphere of conscience.’ And through this, Cameron's Conservatives would once again sit on their hands. Today's schools policy paper from the Conservatives confirms what we already expected in some areas - an emphasis on phonics, support for academies and strong support for accountability. The main news surrounds their plans to create '220,000 new school places' in disadvantaged areas by 2016. In fact, their policy differs little from that of the Government. 400 new academies will create around 400,000 new school places by the middle of the next decade: their sponsors will include many of those cited by the Tories. What is different is the suggestion that these proposals will emerge spontaneously from parents and others. There have been some such proposals - the law was changed to require local authorities (since earlier this year) to do a proper feasibility study to test their merit. Sure, this may sound a bit bureaucratic in this 'post-bureaucratic age'; but the point is that the numbers are not what the Conservatives imagine. Moreover, with 150 academies running in a couple of years' time, the dynamics of parental demand will have changed still further. So, by all means, give such proposals a push, but my guess is that a government agency - perhaps the Schools Commissioner - will need to simulate demand. We will also extend the inspection powers of Ofsted further, so that inspections will be more detailed and last longer, and every teacher in every subject will be inspected during Ofsted’s visit. Now nobody is a greater fan of inspection than me - and there may be a case for more subject inspection than there is now - but this is a recipe for huge and disproportionate bureaucracy, especially in the best schools. Combined with near compulsory setting in every academic subject, also to be imposed by Ofsted, the concept of free schools is well and truly dead. UPDATE: John Rentoul offers his take in the new Independent blog site, Open House here. The consensus is that not a lot happens in BBC1's brilliant new adaptation of Elizabeth Gaskell's Cranford trilogy, which started last night, but that it is played rather beautifully. 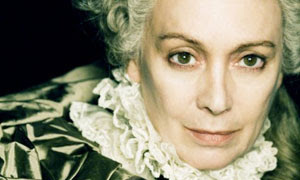 One of the most telling moments was when Cranford’s reigning aristocrat, Lady Ludlow (played by Francesa Annis), turns down Mr Carter's (played by Philip Glenister) suggestion of a new maid because the girl can read and write; Lady Ludlow has instead set up a school on the estate where the girls can busy themselves learning to sew. But we've come a long way since then, haven't we? After all, nobody would want to stop children learning to read now, would they? In my list of television hates I include that survivor from Blackadder who endlessly digs up half of England and discovers nothing more than the broken rim of a Stone Age piss pot, repeats of repeats, celebrity chefs who make snail ice-cream or eat fat-saturated midnight snacks in satin pyjamas, those poor demented women who submit to complete face and body makeovers in a matter of hours and emerge looking like the bride of Dracula, the dandy decorator with the fluffy shirt cuffs who turns ordinary suburban rooms into Victorian brothels, the two fashion gurus who do a lot of rather disturbing breast-squeezing, fatuous TV shows about fatuous TV shows, plus any programme featuring couples with the tragic urge to buy and run a B&B in Transylvania. The shadow schools secretary, Michael Gove, is right to put teaching children to read at the heart of his schools' policy. But, as Ruth Kelly pointed out on the Andrew Marr show this morning, she was the secretary of state who introduced synthetic phonics to the whole school system, following Jim Rose's excellent review. The challenge for policymakers is not whether or not this is the right policy - the evidence shows that it is, despite the moaning of the 'leave 'em to learn to read in their own good time unless they're our own kids' brigade - but how to ensure that every school uses phonics. Gordon Brown has chosen to put rather too much emphasis on his reading recovery programme, Every Child A Reader, which may be an effective catch-up but is a rather expensive one. Instead, there should now be a cross-party consensus on the Rose recommendations that synthetic phonics should be taught first and fast. Ofsted should inspect primary schools specifically on this aspect of their policy. The programme needs the sort of intensive leadership and training given the national literacy hour in 1998. And, there is merit in having an independently validated national reading test - and one in Maths too - to replace the 'teacher assessments' that were brought in to replace national tests at seven by Charles Clarke. But all parties should be clear that reading early is the key to later success - and clear about how phonics is put at the heart of early learning in every school. UPDATE: There is a very peculiar thread about this post running over at the Reading Reform Foundation website - the home of the shock troops for synthetic phonics. Most readers of this post might (rightly) imagine that I am a rather strong supporter of synthetic phonics, which I have been since at least 2002. I had a good deal to do with the Rose Review being established when I worked for Tony Blair, and I welcome the fact that both main parties support it. But what I suspect upsets my should-be friends at the RRF is that I have dared to suggest that Every Child A Reader may help with catch-up - there is evidence (pdf) that it does; however, most youngsters could and should be taught more quickly through synthetic phonics, as Rose recommended. My second sin in RRF eyes is probably mentioning the literacy hour: yet before it, phonics had been allowed to die in many schools. Phonics would not be debated now without it. As a result of its introduction, many children were taught much better how to read, spell and write: the evidence is there in the improved test results (pdf - go to table 1). But there is now much clearer evidence from Rose and elsewhere that synthetic phonics is the way forward. And the government should ensure - with Ofsted's support - that it is taught first and fast. So, activists at the National Governors Association - which claims to represent 300,000 governors but has a mailing list of 35,000, according to its website - want to obscure school results for parents and the wider community by no longer publishing exam and test results. This is not only a recipe for confusion, it is one for self-delusion. The idea that school governors - and I am one - shouldn't know how well their school performs in absolute as well as comparative terms is a seriously retrograde one. The fact is that it is through the publication of such results - as well as with testing and inspection - that thousands of schools have been spurred to improvement over the last decade or more. And given the amount of contextual information now included in the tables, it is particularly odd for the council's chairwoman, Judith Bennett, to claim: "We've got no objections to accountability, what we are clear about is that the league tables are not really very informative." Now if that's really the problem - which I doubt - let's have more not less information. I'm sure more money for 'peer mentoring' is all well and good. But couldn't Ed Balls just repeat the simple message that bullies should be punished? Today's report from Teach First, arguing that large comprehensives should be broken into smaller schools with separate groups of teachers, under a unifying head, builds not only on the English house system, now increasingly popular in state secondaries, but also on experiments in the United States, most famously that in East Harlem. The idea has traction with all three political parties here, and is being tested in the Ark academies model. It is certainly worth testing, though other models such as the separate Year 7, being used by Mossbourne Academy in Hackney, look equally promising. 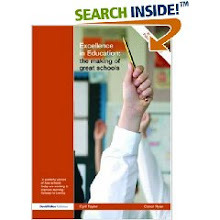 The big issue is how to transfer personalisation from an academic concept to a model for school management and structures, whilst ensuring that students have the chance to get good results with a good choice of subjects, specialist teachers (at least post-14) and a strong extra-curricular programme. Teach First have done well to kick-start this debate this morning. There were those who were beginning to doubt the wisdom of Gordon Brown in promoting Jacqui Smith so quickly to Home Secretary. This blog has never had such doubts, and yesterday's bravura performance showed why. Where her predecessors failed to get the better of her incredibly self-important shadow David Davis, Jacqui did so with ease. As to the substance of the charges against her, that she didn't rush to hold a press conference to announce every problem she encountered in the Home Office - as the normally sane Danny Finkelstein would have her do - she had a good riposte: "My approach was that the responsible thing to do was to establish the full nature and scale of the problem and take appropriate action to deal with it, rather than immediately to put incomplete and potentially misleading information in the public domain." That is not to deny her responsibility to inform the public, but it is to say that the job of ministers is to give leadership in sorting out problems rather than forever wringing their hands about them. The idea that every cabinet minister should spend their whole time holding press conferences for the gratification of the Daily Mail and the Tories about the difficulties that are brought to their attention on a weekly if not daily basis - save where there is a genuine risk to the public or a case of impropriety - is a recipe for anarchy, not good government. And I can't say I remember such regular confessionals when the Tories were last in power, either. Whoever is responsible for briefing the story on the front of today's Guardian claiming a retreat on academies clearly needs some education in both education policy and good politics. The Guardian has never needed an excuse to attack academies, and seems desperate to report flaws in the programme, despite the Public Accounts Committee pointing out how much more effective they are than comparable measures to address school failure. Suggestions that the programme is being reviewed because it isn't working play into that agenda, while assisting the Tories in their attempt to suggest a retreat on the academies policy. In fact, a more likely scenario is that academies which have a demonstrable record of delivery in the poorest areas with some of the most disadvantaged pupils - and cost no more to build now than any other secondary schools - are being asked to assist in a wider government strategy to tackle this group of pupils. But that wouldn't have been much of a story, would it? And the Guardian couldn't have been able to give front page attention to claims about the ineffectiveness of specialist schools that fly in the face of both the evidence (pdf) and the experience of schools alongside these claims. To see the brilliant Scots Gaelic singer Julie Fowlis at St George's in Bristol tonight. Fowlis is one of the three finest young female folk musicians in these islands at the moment - Kate Rusby and Cara Dillon being the others - and has a voice to match Capercaille's Karen Matheson or Altan's Mairéad Ní Mhaonaigh in their earliest days. But untypically for St George's, Fowlis was allowed to sing for a mere 40 minutes before having to give way to Nashville singer Beth Nielsen Chapman, who isn't too bad when she sticks to her usual repertoire. But she didn't, preferring to inflict on the audience her embarrassing interpretations of world music which started with a creaky rendering of a Welsh song to which Fowlis could surely have done justice and descended into Zulu and Parsi tunes. It is not as if we suffer a dearth of good music played by visiting indigenous musicians in Bristol. We weren't the only ones to leave at the interval. Next time, let's hope they give Fowlis her own show. 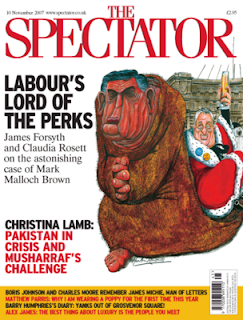 The junior foreign minister, Lord Malloch-Brown, is certainly getting up enough people's noses at the Foreign Office, and if the Sunday papers are to be believed, none more so than that of his ostensible boss, the Foreign Secretary, David Miliband. With a hatchet-job in the Spectator, and some pretty brutal follow-ups in the Sunday Times and Observer, someone has been busy this week. The truth is that, however appealing they may look on paper, it is never a great idea to appoint non-politicians to ministerial jobs. Malloch-Brown has not just gaffed by confusing his UN world view with his role as a UK foreign minister; he has also confessed, according to one report, to being clueless about the ways of today's British press. And by feeling he is doing Gordon Brown a favour by taking this job, he inevitably creates a tension with Miliband who won't like a minister with a direct line to the top, whether or not he commits policy gaffes. What is surprising is that it is Malloch-Brown, not Lord Digby Jones who has been the first of the 'outsiders' to fall victim to this sort of briefing. By comparison, the former CBI chief has been a model minister (even if he rarely votes with the government). Why is it that whenever anybody makes the fairly obvious point that bad teachers should be removed from the classroom - if, after plenty of support, they simply can't hack it - we're told that this is "demoralising" for teachers? Since those who make this point, as Sir Cyril Taylor, chairman of the Specialist Schools and Academies Trust, does today, also go out of their way to praise the competence of the majority of their colleagues, it cannot be because they think their critics are anti-teachers per se. And surely it is rather more demoralising for the majority of good teachers and heads to have to cover for their incompetent colleagues until they are replaced? Hillary stays ahead - but who will be the Republican candidate? the Democratic debate would damage Hillary's standing haven't yet been borne out by the polls, where she retains a strong lead in the contest for the Democratic nomination. There's a great piece by the insightful Joe Klein (he of Primary Colours fame) in the current issue of Time magazine about what she stands for. And I think Andrew Stephen in the New Statesman may well be right about her opponent being Mike Huckabee or Mitt Romney, not Rudolph Guiliani. To understand why, read this illuminating piece in the latest New Republic. 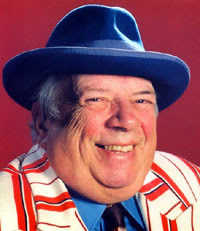 Katie Buchanan's elegant, witty and moving tribute to George Melly, following him and his long-suffering wife Diana through the great entertainer's last days, was a model of good television. Broadcast on BBC 4 - and therefore around again soon - it was particularly moving to see him taken by ambulance to have a last moment with his fans at London's 100 Club where he began his singing career. I first saw Melly, who died in July, on stage at a post-midnight gig in the 1982 Cork Jazz Festival, and saw him perhaps a dozen times since, including at the 100 Club and at his celebrated New Year gigs at Ronnie Scott's. It was sobering to see the great man laid so low as he battled a form of dementia and lung cancer, refusing treatment and trying to live it up in his last months, but there was a life-affirming spirit at work too as he sought to keep singing the blues - albeit with increasing difficulty - to the end. Don't miss this programme when it is repeated. I have a piece in today's Independent, arguing that Gordon Brown was right to set tough targets last week, but setting out some of the things he and Ed Balls need to do to meet them. You can read my article here. St Joseph's College in Stoke-on-Trent is up in arms because of plans by the local authority - whose education and children's services functions were so bad that the government forced the council to outsource them to Serco - to shut the college as part of a planned reorganisation which will see the number of secondary schools in the authority cut from 17 to 12. Now, there is undoubtedly a good case for cutting the schools and replacing a number of them with Academies, through the Building Schools for the Future programme. But one has to wonder whose daft idea it was to threaten St Joseph's in the process. Interestingly, it is not a diocesan school - and the head is clear that the local Catholic archdiocese has said it already has enough capacity with two other Catholic schools in the area. But with a value-added score (for some reason ignored on the school's own website) above average and a rating of 'good with outstanding features' by Ofsted, this school could be a lead partner in any imaginative BSF arrangement. The council should be careful not to allow ideological objections to the school's grammar status to outweight the potential for a deal that would benefit far more Stoke pupils. After all, they clearly need all the help they can get to raise standards. Today's Queen's Speech has a stronger sense of purpose than Gordon Brown's critics give him credit for. The raising of the education participation age has been accompanied by a welcome recognition that it is apprenticeships and part-time work-based training that will be key to its successful implementation. Yesterday's paper (pdf) from Ed Balls was a good start in putting flesh on a policy that will still be a hard sell. Nobody should doubt the need for further security measures, though as David Aaronovitch points out today, there is still some confusion in people's minds about the issue. There are sensible measures on nuclear power and climate change; and to increase house building and tackle hospital hygiene. Moreover, with little fanfare, the latest Populus poll for The Times puts Labour one point ahead and leaves Brown ahead of Cameron on important leadership questions, despite some narrowing of the gap. The challenge now for the Prime Minister is to turn the seriousness of purpose in this Queen's Speech into strong goverance matched by a proper sense of strategic direction. But regardless of the Cameron jokes, today should go some way towards undoing the damage of the conference season. My old friend - and occasional sparring partner - Graham Lane has transformed himself from the voice of local education authorities to a champion of Diplomas. In that capacity, he takes me to task for my supposed ignorance of the new qualification in my recent Guardian article. I fear it is he who is displaying an ignorance of their history when he says "it is not true that diplomas were first announced in 2005 as a vocational alternative to A-levels". In fact, that was always how Tony Blair saw them, and he was right to do so. Of course, as I said in my article, these would not be traditional vocational qualifications. "Unlike apprenticeships, they would not be predominantly work-based, and would mix "theoretical and practical learning"; but unlike A-levels, students would also have to do English, mathematics and IT. This reflected the view of employers that such a mix is more suited to modern business." Graham then ignores my praise for his engineering Diplomas as a likely route to university to make a silly point about hair and beauty Diplomas: I didn't argue that no student would want to progress, but that most would do a level 2 Diploma - "in the hope of starting work or an apprenticeship thereafter". That is precisely what most people involved in developing the qualifications think too. What is most worrying about Graham's response is that he seems more concerned with defining Diplomas generally than selling the potentially excellent engineering Diploma to parents, teachers and pupils. Which was precisely my point. Today's Irish Times suggests that Bertie Ahern - already facing sinking poll ratings, doubts over his story to the Tribunal, and anger at his huge recent pay rise - could face another headache which could become a headache for the whole of Europe. Most voters don't know how they will vote in the constitutionally-required referendum on the new EU Treaty, and only 25% say they will vote Yes (though No votes are lower at 13%). Having won billions to help create the Celtic Tiger, too many Irish people seem set on hindering similar growth in Eastern Europe, all to give beleaguered Bertie a bloody nose. I was interviewed by Brian Hanrahan for Radio 4's The World This Weekend ahead of the Queen's Speech about the strategic direction of the Brown government. You can hear the interview using the Listen Again function here. Schools secretary Ed Balls is right to talk up apprenticeships as key to getting more young people to stay in education or training, which legislation due to be announced in this week's Queen's Speech is likely to make compulsory until age 17 in 2013 and 18 in 2015. But for that to happen, the government not only needs to ensure young people can make better choices, it also needs to avoid making it more attractive for those who should be doing apprenticeships to stay on in education. There are signs that education maintenance allowances, in encouraging more to stay at school or college, may also have dissuaded a significant number from opting for work-based routes. Getting that balance right will be vital if this legislation is to increase opportunity rather than simply boosting staying-on rates. David Rose, the country's finest crime and policing journalist, makes a strong case in today's Observer for Sir Ian Blair to stay in the wake of this week's Health and Safety condemnation of the Met, and explains what is really going on. This is well worth reading. We spent much of Saturday seeing the Chichester Festival Theatre's stunning revival of David Edgar's RSC adaptation of The Life and Adventures of Nicholas Nickleby, in Bath. This six hour marathon is played with remarkable gusto and brilliant acting by a stellar cast of 27, whose ensemble acting and enthusiasm carry the two-part production with pace through the horrors of Wackford Squeers and Dotheboys Hall (which Charles Dickens based on real private 'schools' in Yorkshire at the time), the cruelty of Uncle Ralph (a fine performance by Leigh Lawson) and his associates, the dramatic troupe at Portsmouth and the affecting death of Smike (played splendidly by David Dawson), to its happy ending. I hadn't seen the RSC production on stage - and the Channel 4 production lacked the atmosphere of a compact theatre like Bath's Theatre Royal - but those who have say this is every bit as good. With fine group singing and particularly strong performances from the principals, this is a production and experience not to be missed. It is at the Gielgud theatre in London in December and January. 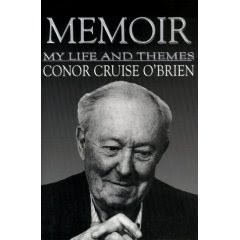 Ireland's greatest living intellectual, Dr Conor Cruise O'Brien, is 90 today, and still writing. O'Brien - affectionately known as the Cruiser - was one of the first people to move the debate in Ireland away from the fantasy of a United Ireland to the reality of living with the status quo, a stance that subsequently led to the present power-sharing arrangements in Belfast (though O'Brien was initially sceptical about the Good Friday agreement). But his life, as Dean Godson recalls in today's Times, has been remarkable - favourite of Dev and Frank Aiken in pumping out propaganda for the Irish state; a terrible time with the UN in the Congo; Nkrumah's chosen vice-chancellor in newly independent Ghana; a leading light of the resurgent Irish Labour Party in the sixties; a minister who banned the IRA from RTE; editor-in-chief of the Observer; passionate supporter of Israel; a trenchant critic of illiberal social laws in Ireland; and a masterly academic spanning all from Burke to much-needed revisionist Irish history in the masterly States of Ireland. He was interviewed by the editor of the Sunday Independent last week ahead of a new volume on George Washington. Happy birthday, Conor. The increasingly ridiculous shadow health secretary, Andrew Lansley, has come up with a brilliant wheeze to sort out the problems of the National Health Service. Ministers should confine themselves to delivering sermons on smoking, drinking and fat people. Meanwhile, the consultants and GPs should be left to decide for themselves when, whether and where to treat people who are ill, without those pesky targets that mean people no longer have to wait a year for treatment and will soon have a maximum 18 weeks from GP referral to the start of treatment. None of that patient-focused guff for Dave's dynamic new Tories, oh no. Lansley has evidence on his side, of course: just look how the GPs rushed to embrace weekend opening and after-work surgeries to meet the needs of their patients in return for being given the best pay deal in Europe. We can, of course, be sure this same spirit will infuse this brilliant new wheeze. After all the BMA always likes a good laugh - at our expense. Bertie Ahern's evidence on his financial affairs has failed to convince voters. Polling for the Irish Times has shown three in four voters are dissatisfied with his testimony to the Tribunal recently. That has translated into a polling boost for Fine Gael and - particularly - Labour where its new leader and deputy seem to have helped boost the party back to 15%, its highest rating for three years. I can see why Bertie didn't want all this before the election. * The Literacy Strategy was as much about writing as reading, and writing standards - with teachers encouraged to reintroduce good spelling and correct grammar as part of their mission - have increased by 14 percentage points since 1997. * Maths is also tested, funny enough. And the NFER study accompanying today's report suggests there has been significant improvement there, which is borne out by international studies, and reflected in the national tests, showing an improvement from 64% in 1997 to 77% this year, a 13 percentage point increase. * The Primary Review's own evidence suggests it is teachers and parents, not children, who are the most anxious about tests, which is not all that surprising when you think about it. So, we are then left with an argument about reading, not testing, which is not, I know where those behind this morning's 'swap teaching for fun' report would like us to be. Now, as it happens, I have felt for some time that synthetic phonics should be a central part of the early teaching of children to read (and that means teaching them to read, not showing them books and expecting them to pick it up by osmosis) and there has been plenty of evidence on that. This is precisely the change the government has made over the last two years, thanks to the excellent Rose Review (pdf) and it is now coming into effect in primaries. * As well as there being a significant improvement in English at level 4, there has also been a substantial improvement at level 5 for 11 year-olds, putting them at the same standard as 14 year-olds. The numbers reaching this higher standard have doubled. * Jim Rose headed an independent review in 1999 (pdf) of the testing process - with headteachers nominated by the opposition parties and the education editor of the Times as members. It showed that complaints about dumbing down were without foundation. * Teacher assessments, the holy grail for those seeking to abolish national tests, recorded the same results as the tests in the disputed years. Let's make sure we don't lose the gains made since the introduction of the national curriculum and testing by allowing ourselves to be seduced back to the bad old days when children were not taught to read properly and when we didn't know it because there were no national tests. And let nobody lose sight of the importance of teaching children to read. This week's revision of government estimates over the number of foreign workers in Britain has brought into sharp focus the whole business of collecting statistics. Critics assume it is a simple matter, and the failure to get it right is either charitably, a matter of ministerial incompetence, or conspiritorially, a sign of deliberate obfuscation. Having seen at first hand the trouble with government statistics I know it is neither. There are three main types of statistic collected by the government's fiercely independent statisticians (the idea that these people have any political axe to grind is laughable). The first - the one that caused all the problems this week - is that based on a sample. The Labour Force Survey, which estimates activities for the entire adult population based on 59,000 households, or in education, the Youth Cohort Study, which looked at the activities of 1.9 million 16-19 year-olds based on samples of around 9000 in each age group, are good examples. The second is a census - a collection of information on every pupil in every school or every member of the population. And the third is an estimate derived from that census based on certain assumptions, as in the revised population estimates used to determine local government funding allocations, the subject of today's LGA complaints. Of course, the second should be the most accurate: we know how many pupils are in each school, and about their exam achievement, gender, ethnicity and so on. Indeed it is the richness of data now available in education - and in health - that makes reform easier there (contrary to the ideological opponents of targets in education, the sort of floor targets set out by Gordon Brown yesterday have already been remarkably successful, if grossly under-reported). But the Labour Force Survey is better - as with opinion polls - when it is dealing with larger numbers related to the population as a whole - numbers in jobs or unemployed - than when it tries to deal with a subset that might reflect 2 or 3% of the workforce as with some migrant communities. Indeed, the only way to get a better sense of those labour force figures without a great extra burden on business would be through a national ID register (though the Tory critics who shout loudest about these figures want nothing to do with that). As for the estimates, the LGA are right to suggest that the richer education and NHS data should be pooled with other information to get a better sense of who is living where. But even then it will never be 100% accurate. That is because of the nature of the statistics, not because of ineptitude or distortion.